Alas, the only thing I actually brought home that day was a sunburn. In the year and a half since, three of the vehicles present have since been cancelled– but one of the automakers from that event recently became the first to come through. It was only for a week, but I say it counts. Ironically, it wasn’t one of the companies who will be putting cars in showrooms this year, but Mitsubishi- a company aiming at the end of 2011 or so for the US market- is first out there with the loaner cars. 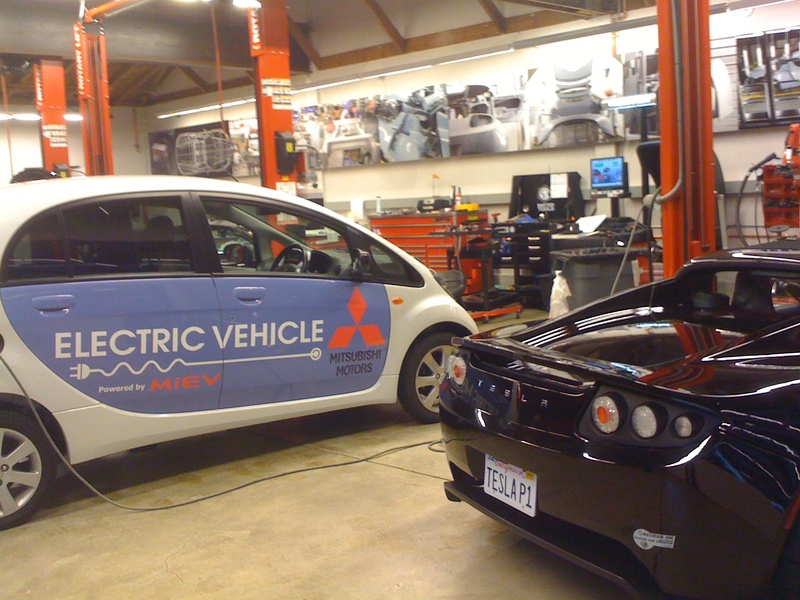 …we considered returning him as an “iMiEV Sport”- I think it could’ve worked, don’t you? In the end we behaved (as far as we’re willing to admit), but did let him hang out with the neighborhood bad boy for a while. Which may have been a mistake, as it appears he went sneaking out later that night…I’m such a corrupting influence! Finally, we figured we had to round out Mr. Bean’s social experiences with an intellectual one…and who better to provide that than Bill Nye the Science Guy? We spun him around a little bit after an event in Long Beach, and he’s now a fan too! Mr. Bean treated us at least as well as we treated him- handling remarkably well in all sorts of rainy driving, and easily giving us 60-70 real word range miles, even on the freeway. If I was careful, I could eke out a few more, but we mostly just ran around, managing to log about 500 total miles that week! We experimented with all three driving modes (like many EVs, there’s an “Eco” and an engine braking mode in addition to the standard drive mode) and enjoyed the strange looks we got from the right hand drive. At night, we tucked him into our garage (a picture I’ll spare you from) and recharged him with a standard 120v outlet, though Mitsubishi is also planning for both 240v charging as well as DC fast charge. PS- Mr. Bean went next to play with Paul Scott and Zan Dubin Scott, who wrote about their experience here. I appreciate being able to stay updated on the industry. I only wish there’d have been more incentive for auto-makers over the years to have gotten more done sooner. I’ll be 51 this year and it seems like I’ll be 60 before there’s any serious EV footprint on our highways. Ha, ha. So cute. Thanks for the pictures. 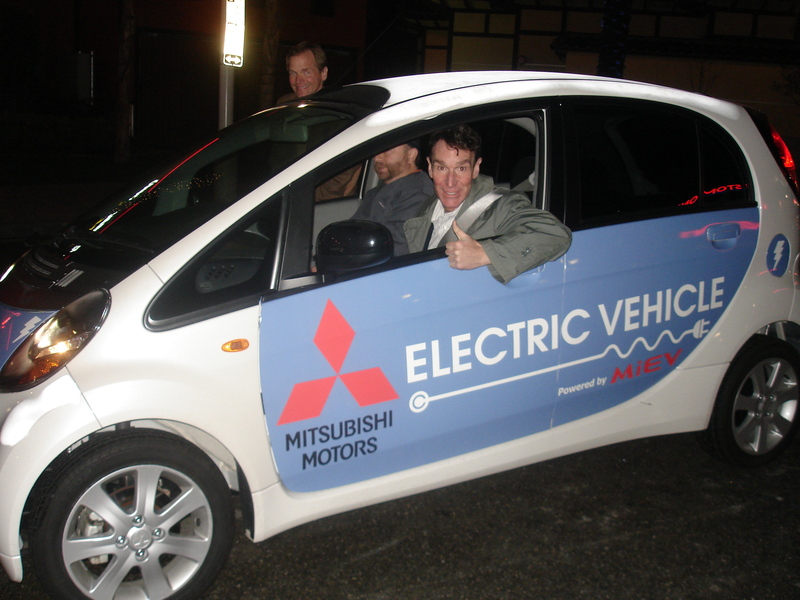 Mitsubishi could have a hit on their hand if they would manage to produce many more iMievs. Totally forgot about the GeekSquad iMievs. These would be perfect for pizza delivery chains too. Fun article, thanks. 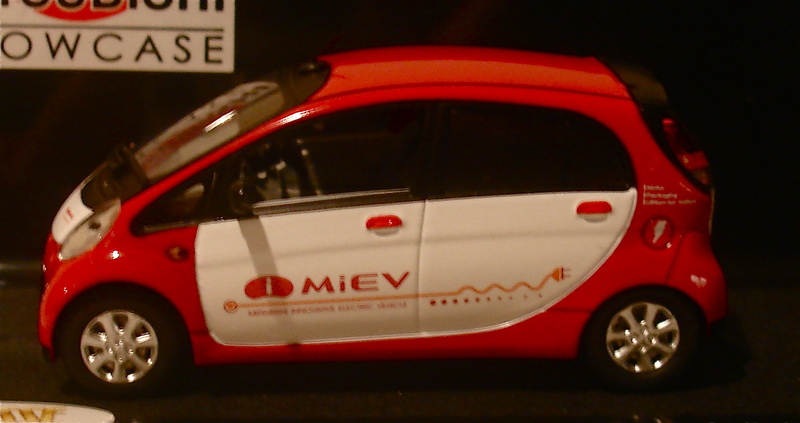 iMievs will sell like cupcakes just because of the coolness factor. What I still don’t exactly understand, is why the production numbers are so low (even after the increase), the Company blames battery production but they are the Japanese industrial heavyweight, if not them who’ll be able get more batteries faster? In general Mitsubishi is fun to drive, it was the only car I drove that allowed shifting gears while in reverse. 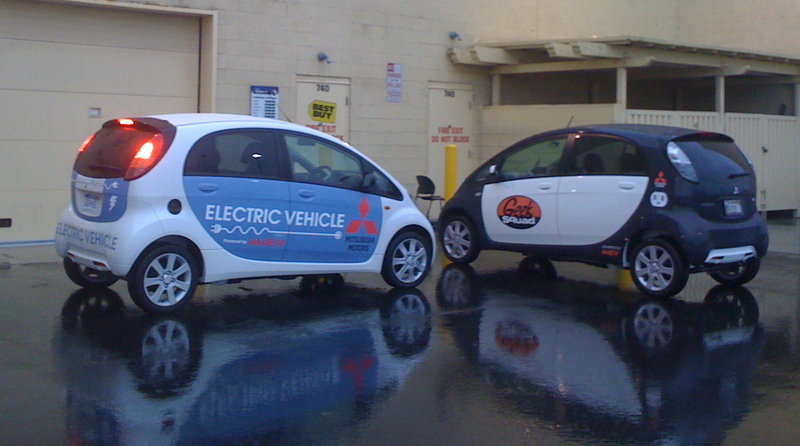 Did you notice any peculiar things about the Imiev? What event was happening in Long Beach? 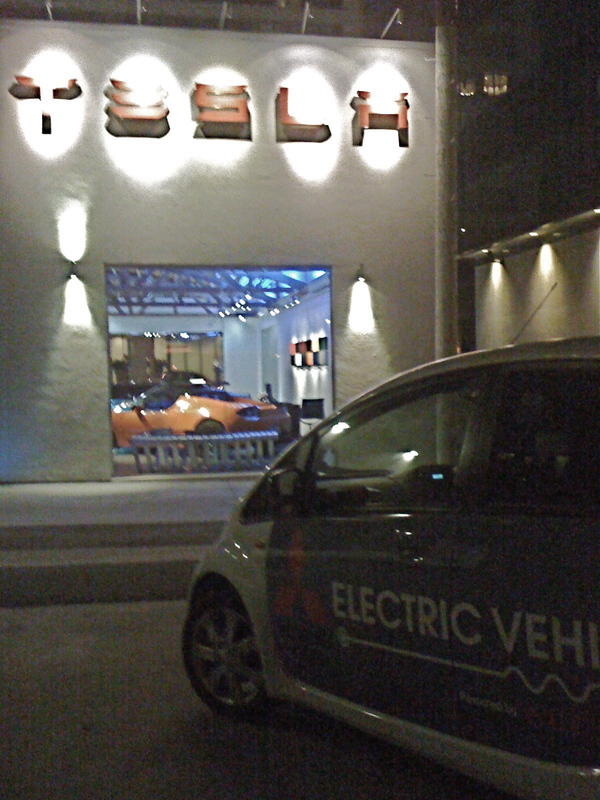 Next time you’re in the neighborhood, we can show you our EV-PV setup for Abbie Normal (nickname for our home-built EV). Thanks, Alan! Yeah, a bit irreverent sometimes, but I think it’s called for! Agree, Nick- postal vehicles too. We do at least have some fleets looking at EVs for their applications, and of course SCE has been using RAV4 EVs as meter reader vehicles for years. 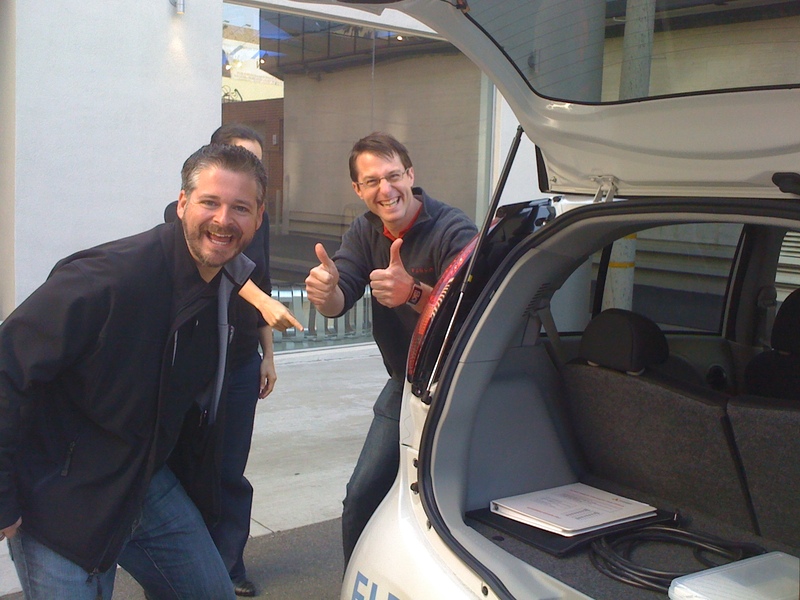 Hey Coby- it was actually a small Volt test drive event (about which a post will come soon) while the GM folks were in town for TED. Was pouring rain that day so probably not the best pv-gazing weather, but I’d love to check it out sometime! Mitsubishi just released the UK pricing for these, over $50,000! I bet Nissan was smiling when they heard that..
You are totally right. Now, all Nissan has to do is beat that price and they come out as the real heroes. 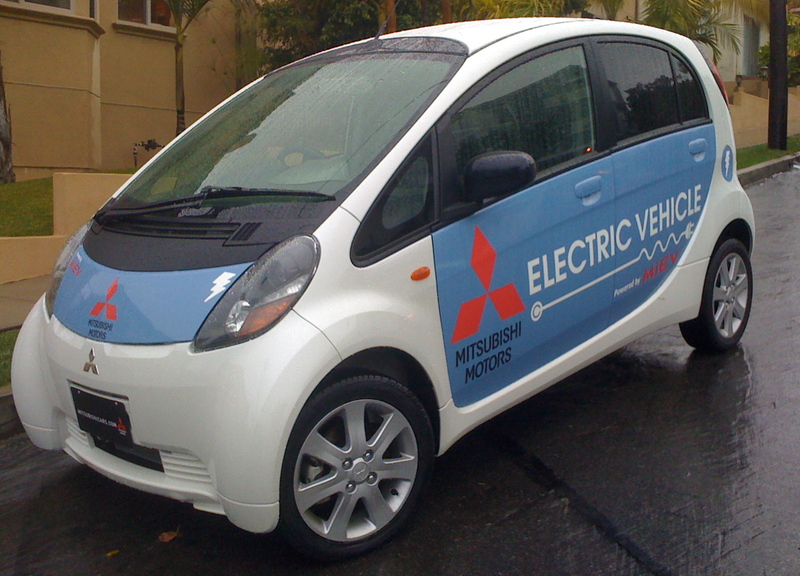 As for the pricing, I think Mitsubishi are overwhelmed by the success of the iMiev. They do not have the production capacity and therefore are pricing it as a rare commodity – which it is. 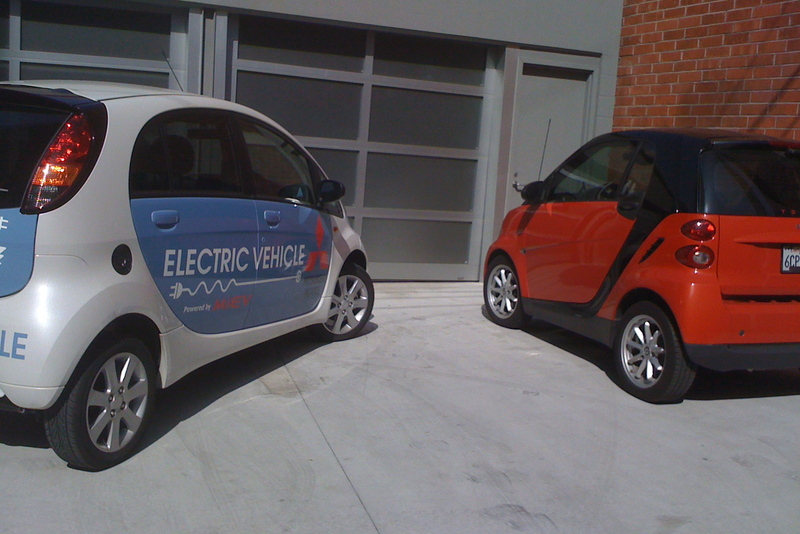 If I were them, I would double down on the iMiev & bet the company on it. Pingback: oldest modern electric car still in production after 10 years | Car News, Reviews, & Pricing for New & Used Cars.